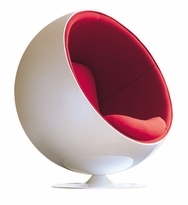 Engaged in new ideas of furniture, he designed the Ball Chair (or globe chair) already in 1963; it was some years later before it was produced. 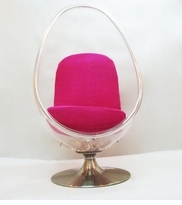 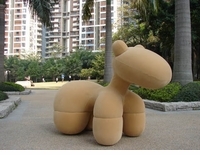 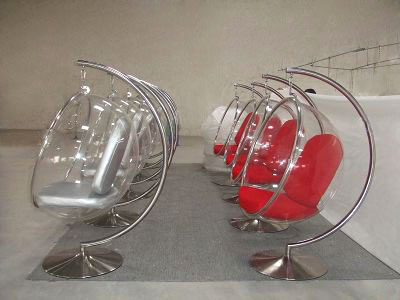 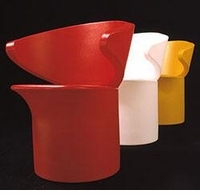 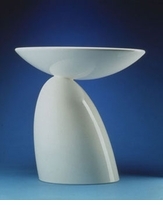 Material (fiberglass) and shape were complete novelties for that time's furniture industry. 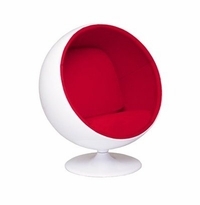 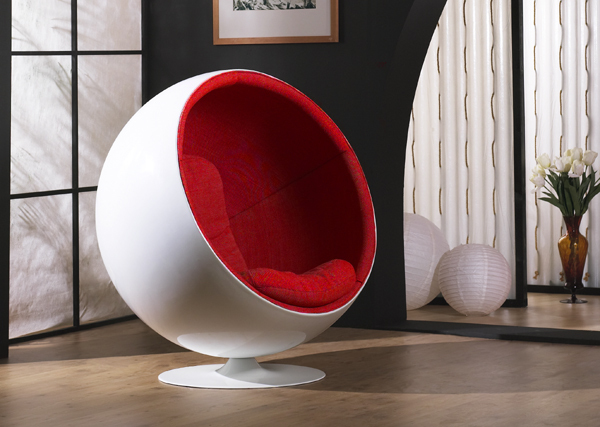 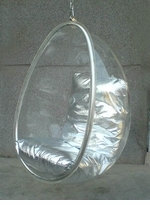 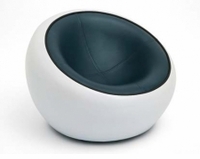 The fiberglass ball is built on a metal swiveling base, and upholstered with foam/fiberfill. 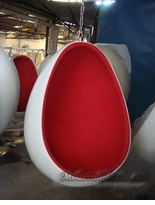 The original colors were white, red, black and orange.